The Ving Tsun Clinic - Filling in the depth of VTK knowledge. The Ving Tsun Clinic originally started as a place for my articles for distribution for people who requested them. Since then, it progressed to where people were asking for videos and books and more information. As I started to produce these I realized that it was taking a lot of time and money, and decided, as it were, to go commercial, starting in October 2018. The Ving Tsun Clinic teaches Ving Tsun (also spelled Wing Chun, Yong Chun, and other ways) kung fu. It’s correct name, for our purposes, is actually “Ving Tsun Kuen” and I usually abbreviate to VTK. This is the online teaching arm of the Ving Tsun Centre, which is the name of my physical school. The physical school has branches in Australia, China, and Germany, with sister schools in a number of other countries as well. 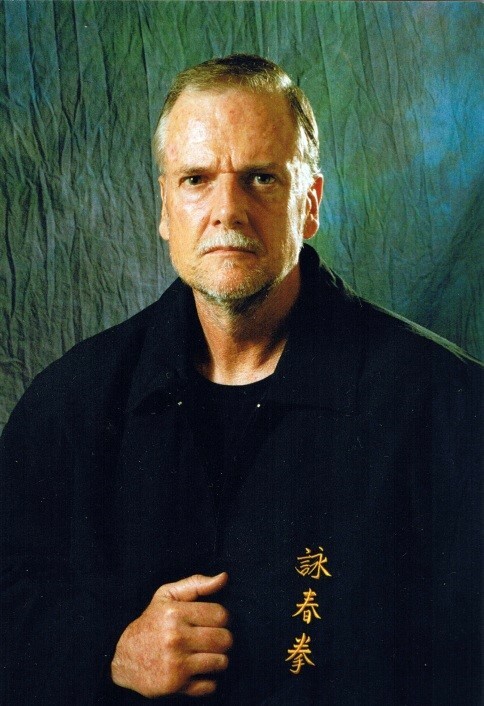 The Ving Tsun Clinic and The Ving Tsun Centres teach pure “Wong Shun Leung Method” or “Scientific” Ving Tsun as handed down by Yip Man through Wong Shun Leung to Barry Lee to myself and thence to my students around the world. As well as being widely recognized as a supremely effective self-defence art taught to military, police, security organizations worldwide, VTK also enables people everywhere to protect themselves. 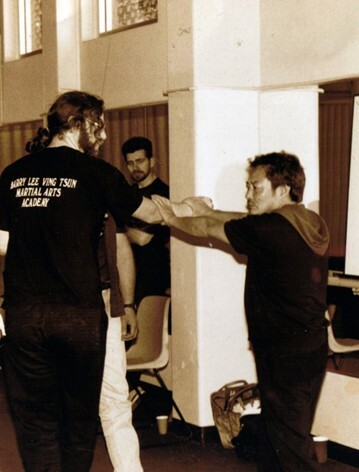 My Sifu, The legendary “Machine”, Barry Lee. Ving Tsun Kuen (VTK) is a complete and integrated system that will enhance psychological as well as physical attributes. These include but are not limited to: – health, fitness, confidence, well-being, flexibility in both mind and body, balance, co-ordination, mental alertness, competence, focus and self-discipline, social responsibility, and in general helping people to hold their heads high with pride and confidence that they are a complete and good human being. We operate in a friendly and cooperative atmosphere, dedicated to bring out the best in each student. Our lineage is one of disciples (todai), or, as they are sometimes (and not quite correctly) called, closed-door students. I am a personal disciple of Barry Lee. He is a personal disciple of Wong Shun Leung. He was a personal disciple of Yip Man. Yip Man was a personal disciple of Chan Wah Shun (aka “Jow Jing” Wah, the money changer). This continues throughout the history of our system. Each person wasn’t just some student in a class but a dedicated follower who trained hard to master the style. Each master is not just a picture on the wall, but a true friend and mentor of the next generation. I have over forty years of experience, and have taught in Australia, China, Germany, Holland, and England, and I have articles translated into several languages and published in magazines around the world. You can be part of this proud and ancient martial tradition. I’m very passionate about VTK, even though I mostly keep very much to myself. I often introduce myself as a VingTsun-aholic. I see a lot of VTK around the world and while there are many good teachers and exponents around, there is also a lot of people lacking a lot of the depth that come with being a full-time student under a true master. Many sifu charge a lot for small parts of VTK, and the real depth is either kept to themselves or only for their “elite” students. Wong Shun Leung often said “There are no secrets in VTK”. Well, that is true, but many people can’t train full-time in Hong Kong, or under a great master. Because of this, they often simply missed out on much that was only taught occasionally, or only known to those few great masters. If the students wasn’t there that one day it was being taught, he missed out. If you were there every day, then you learned these things. My sifu, Barry Lee, was one such who was there all day every day. Wong Shun Leung called him “The Machine” because he was always there, always training. When he moved back to Australia, he was a private person who taught only few very lucky people to an advanced level. I was one of those fortunate enough to train with him and also one of the very few who have had him stay at their house regularly. He came to my city every week to teach, to show me how to teach. I stayed at his place for several days a week, for many years. The other students joked that I was “Barry’s live-in student”, traditionally a place of great honour. There is much we talked about that is not often seen in studios anywhere in the world, not even in Hong Kong, not in modern times. A workshop in 1991. WSL teaching Biu Ji demonstrating on me. Sifu David Peterson is in the background. The Ving Tsun Clinic, these writings and videos, fill this gap between the full depth of traditional training, and modern training. The way I see it, modern training seems mostly by seminars and short courses, or sifus who only learned that way themselves. They contain the depth lacking in most VTK today, which I would like to provide. At least, as much as I can put into words and drawings, and the occasional video. One warning – you need a real teacher as well as this information provided in the Ving Tsun Clinic. There is no way to fill that gap without a competent teacher in person, with continuous hands on training. Students need the “feeling” of the training. As yet, there is no substitute for this. It is best if you go to a school as well, preferably one with WSL lineage. Or even better one of my Ving Tsun Centres. I also do seminars and workshops in several countries, and encourage people to train in China when I go there. Brilliant work! A great resource shaping up here.